Everybody knows that babies get dirty, however, only parents know the true extent of just how dirty that can get. New parents are in for a wild ride of drool, tears and the occasional diaper explosion. It can get messy and stressful, but those tender moments when your baby looks up at you and smiles make it all worth it. 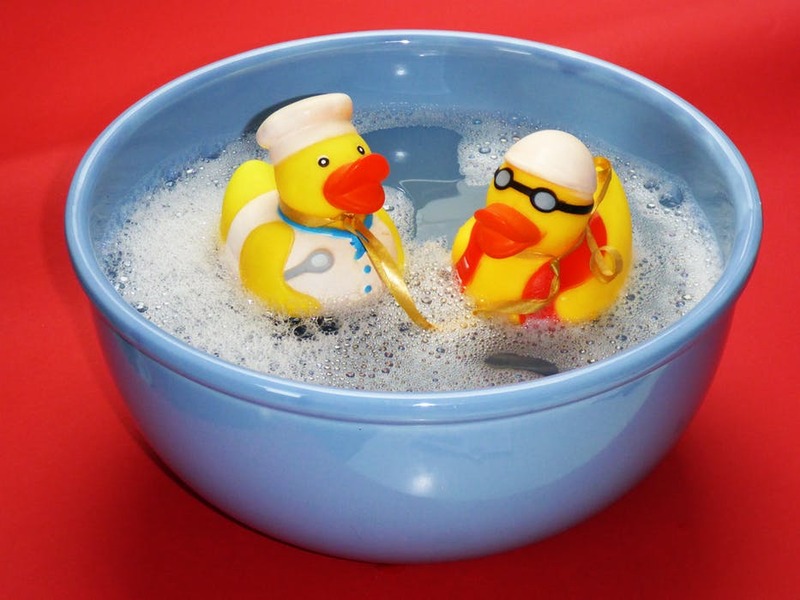 Baby’s bath time is important, yet for the first few months, you aren’t going to need to bathe them every day (until they start getting dirty, it’s recommended that you bathe them only two or three times a week). However, hygiene is still an important part of their daily routine that you are going to want to instill in them. So, how do you keep your newborn clean between baths? Remember, the above numbers are just an estimate – some babies will require more, some will require less. Diapers also need to be changed as soon as it is noticed that they are soiled. Urine and bacteria can lead to painful rashes that take time to treat. One of the most dreaded parts of taking care of your newborn is when it comes time to trim their little nails. Just like the rest of them, their nails have been growing since before they were born – so they may need a trim during the first week (and every two or three days of the first three weeks, until the nails harden and stop growing so quickly). While one of your older relatives might suggest nibbling on them, you may peel them too far back which is, obviously, immensely painful. When clipping, hold your baby’s finger tight and press the the fingertip pad down and away from the nail – and of course, always using special baby clippers or scissors. Snip while following the gentle curve of their fingernail. No matter whether you’re at home or at the grocery store, you should always be sure to keep some baby wipes handy. You never know when they’re going to spit-up or have some other kind of fluid disaster – so be prepared for everything! It’s also a good idea to keep clean swaddling cloths on you at all times, too. Just like the top sheet on your bed keeps your blankets from becoming dirty, these handy baby sheets can be quickly swapped out for a clean one upon soiling. When it comes down to it, you want to keep your baby as clean as possible to give them the best possible hygiene for a healthy and happy life!